What is mouthwash and what does it do? What happens if you swallow mouthwash? The more confident you are about your smile and your breath, often, the more confident you are about yourself. Bad breath or the sensation of an unclean mouth can really impact that confidence. 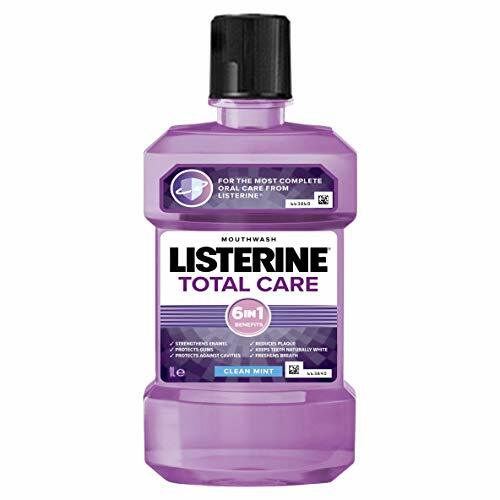 Big brands like Listerine and Oral-B promote via adverts (you have probably seen them on TV) telling you how good their mouthwash is at freshening your breath. You take a look at the shop shelves and you are presented with countless different options. The big question is, which one do you go for and why? What is the best mouthwash? In case you would like to read about a particular mouthwash, here’s a list of the reviews we’ve completed. If you’re interested in a product we haven’t reviewed, let us know in the comments and we’ll take a look! This might all seem a bit basic to some, but many have a misunderstanding about mouthwash and may be using it incorrectly. I feel it is important to first explain a little more about mouthwash, what it does and how it should be used. For example, did you know that you should not use mouthwash straight after brushing? Mouthwash is not a replacement to your normal tooth brushing and flossing routine. It is designed to be complementary to that. You should still brush at least twice a day for 2 minutes and floss once a day too. It is the physical act of brushing and flossing that lifts and removes the bacteria in your mouth. Failing to brush will mean that bacteria and food debris are left behind on your teeth. Brushing your teeth only cleans 60% of the tooth surface, some 40% goes uncleaned unless you partake in interdental cleaning whether that is flossing or using interdental brushes. Investing in a good toothbrush can be helpful and picking the right flossing tools for your needs. 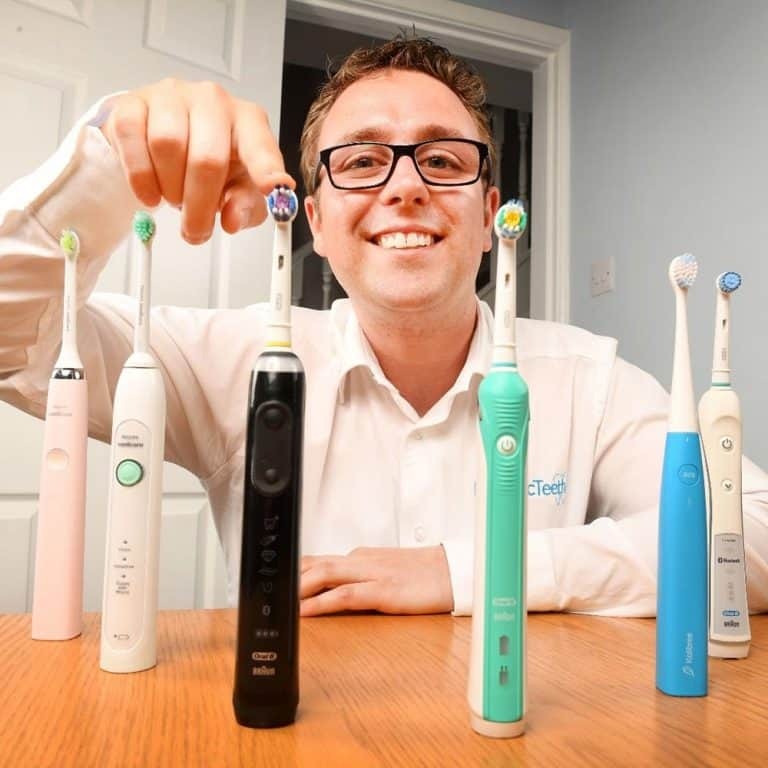 Why not check out our guide to the best electric toothbrush as well as our guide to the best flossing tools for more information. Mouthwash is a liquid, that is rinsed or gargled in the mouth. The primary purpose in most instances is to offer a fresh and refreshed feeling to the mouth. There are some types of mouthwash that go a little further and provide more benefits. Examples include fluoride rinses that can help protect the teeth against acids produced by plaque bacteria. Made up from a number of different ingredients, the combination, flavour and effectiveness of mouthwash varies from brand to brand. Where once there was a fairly limited range, there is now a wide number of options including alcohol-free versions. Historical studies have found evidence to suggest our ancestors practiced regular oral hygiene. Recipes equivalent to today’s mouthwashes have been found to date back to ancient Egyptian, Greek, Roman and Chinese cultures. Fruit, dried flowers and charcoal were all different ingredients that have been used, but we don’t know how effective these actually were. Interestingly, charcoal has regained popularity, not in mouthwashes, but toothpastes that we now use. It was in the 1800’s when oral healthcare took a massive step forward as toothpaste was first introduced. It was not until the late 1800’s that mouthwash was first mass produced. Alcohol was a common ingredient used to stabalise the formula. Thanks to advances, other ingredients such as cetylpyridinium chloride (CPC) exist today to offer germ killing properties without the need for alcohol stabilisation. In today’s clinically advanced world, there are more versions and configurations of mouthwash than ever before with special mixes designed with specific user needs in minds. These include solutions for braces, those with sensitive teeth and gums and even for those who suffer with ‘dry mouth’. Here are some of the benefits of mouthwash. Not all apply to every mouthwash. Quick and easy to use – most bottles offer a cap built-in, ideal when on the go. Can leave your mouth feeling fresher and cleaner – quash the bad taste or odour you have that is caused by bacteria and plaque. Germ-fighting (antiseptic) ingredients – help fight gum disease, bacteria and pain suffered from dental treatment such as tooth extractions. Chlorhexidine is most highly regarded for this. Pain relief/sensitivity reduction – can soothe sensitive areas of the mouth. Fluoride – some have this included. 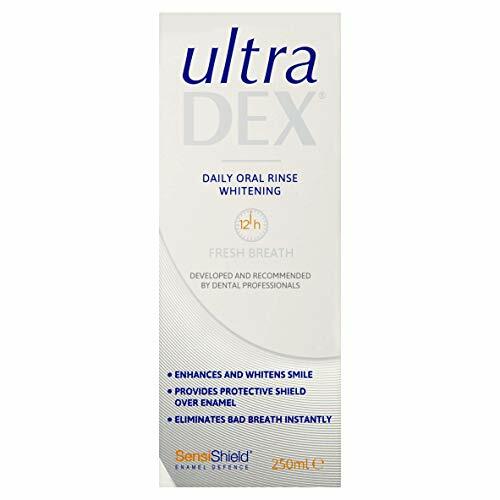 It fights dental decay, protecting the teeth. Limited dexterity – makes it easier for those with limited dexterity where brushing and flossing is not easy. 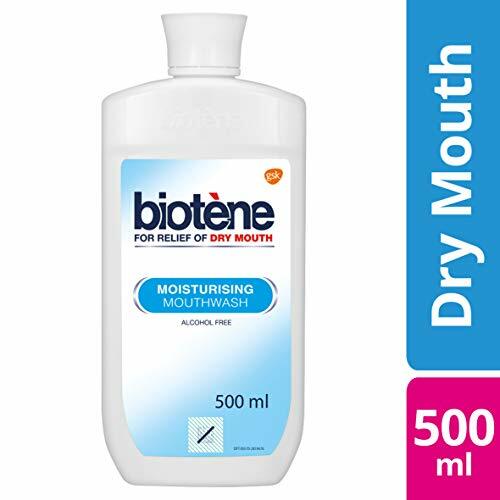 Relief for dry mouth – the liquid itself provides some comfort, whilst the taste may get your salivary gland going to produce more saliva and also provide relief. Does not cure bad breath – mouthwash is really only a mask for bad breath and does not treat the root cause. Alcohol content – this can be high in some products and may not be to everyone’s taste. It can dry the mouth out too. Over time it can even kill good bacteria. Some evidence points towards a link between these types of mouthwash and cancer. Staining – mouthwashes that contain Chlorhexidine can stain the teeth. 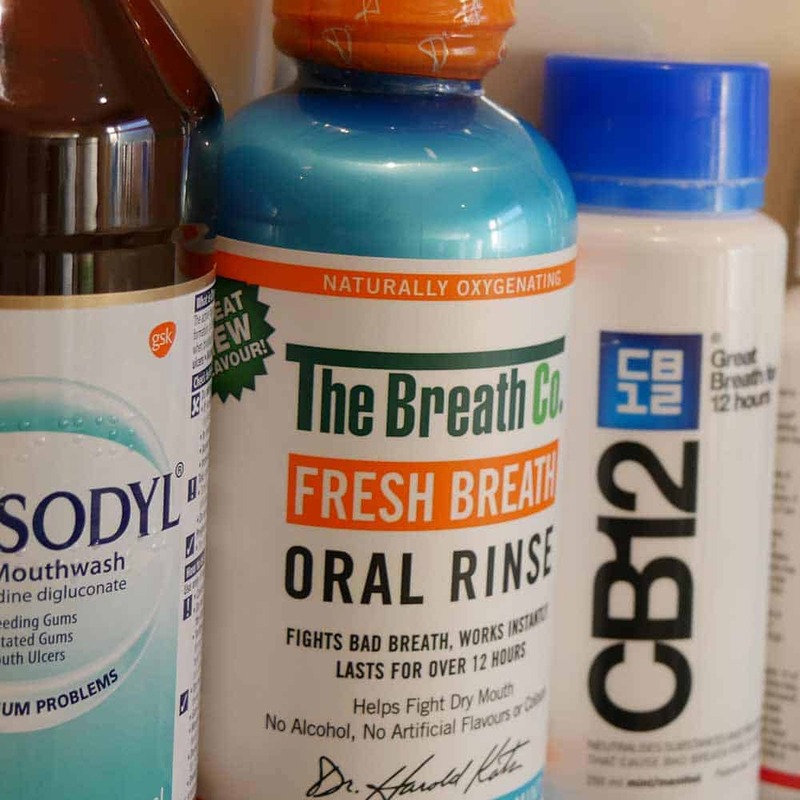 The major brands claim that a mouthwash will help deal with and essentially stop your bad breath problems. Sadly, it is not quite as simple as that. Bad breath is almost always cause by bacteria in the mouth. The solution that is mouthwash might well assist in reducing the perceived presence of bad breath by masking the odour the bacteria produce, but it does not stop it or remove the cause of bad breath. The alcohol content in some can actually dry the mouth out and make the bad breath worse. To take control of bad breath, you must remove bacteria, so you need to brush and floss regularly, including cleaning your tongue. Your tongue is one of the biggest components in the issue that is bad breath or halitosis. The pitted surface enables bacteria growth, which produces the bad smelling sulphur residues. Tongue scrapers, are brilliant at removing and reducing the bacteria build up and the impact of bad breath. As a result, mouthwash is a solution to ease and help resolve the feeling of freshness when you are not within reach of a toothbrush and floss. ‘Mouthwashes certainly have their place, but don’t be fooled they are not a substitute for brushing and flossing’. Clinical trials have tested many different product. Various scenarios have been used to test different outcomes. Results and conclusions differ slightly but the general trend seems to be that there are some benefits to be had, subject to your desired outcomes and the product used. An alcohol-free mouthwash, used in addition to proper toothbrushing and interdental cleaning, may well have some benefit. Aim to use it at a separate time of day, for example after a snack, and at least half an hour before or after brushing. If you have a specific disease which requires extra help to fight bacterial infection, specialist mouthwashes, such as those containing chlorhexidine or hydrogen peroxide, will help you get on top of the infection’. Ideally we would love a mouthwash to taste of our favourite food or drink but leave us with the a lovely fresh breath feeling. Sadly this is not the always the case. Mouthwashes do not always taste that great. It is not all about the taste, it is about the effectiveness of the mouthwash and how well it meets your needs. As suggested earlier in the article there are different types of mouthwash suited to certain users and designed for specific purposes. Most of us have tried a mouthwash at one time or another and therefore have an idea of what it is like to use and what it achieves. If you have not, then you may need to test a few to find the right one for you, unless you know you are looking for a mouthwash that targets a specific need. The most popular types are typically Fluoride, Anti-plaque, Desensitising and Whitening. You might then want to ask yourself what it is you want from a mouthwash. Is it the best for bad breath, gum disease, dry mouth or just something to give you a boost of freshness? A mouthwash is designed to freshen the breath, they are not to be used as a replacement to regular routines that include brushing and flossing. Primarily containing breath freshening ingredients, they can be purchased over the counter or straight from the shop shelves. Few, unless specifically labelled include fluoride. A rinse on the other hand is generally more targeted and designed to achieve or help with certain healthcare goals and aid in routines or treatment. Examples include a fluoride rinse to help fight against cavities, whilst a Chlorhexidine Gluconate rinse targets and kills bacteria associated with gum disease / gingivitis. It is quite common that a dental professional will recommend a rinse if you need one. Alcohol is found in many mouthwashes due to its ability to fight off germs and bacteria that cause the bad breath and plaque build up. The concentration of alcohol varies, but can be as much as 25 percent. For many the strong alcohol consistency and taste can be unpleasant. During and post use, some may suffer from a mild burning sensation. In addition to these drawbacks, some evidence points towards a potential link between alcohol-containing mouthwashes and cancer, although there is yet to be any strong scientific studies to confirm this. However, there are alcohol free products that are just as effective. CPC (cetylpyridinium chloride) is the ingredient found in many alcohol free mouthwashes. It binds to the surface of germs and causes them to burst, which helps reduce their build-up on the teeth. If you are sensitive to the taste, or the mouthwash is to be used by a child or teenager, then alcohol free is a great way to go. Plaque forms as a result of a bacteria in the mouth. Food particles, moisture and pH levels in the mouth make a perfect environment for growth, but some mouthwashes have anti-plaque ingredients which can help control build up on the teeth and control bad breath too. Sore and swollen gums can be painful, particularly if you have undergone surgery or some form of dental procedure. Alcohol free mouthwash might be less irritating or sensitive on the tender parts of the mouth. Some contain ingredients which are soothing and more gentle on the teeth and gums. Products like Corsodyl that contain chlorhexidine gluconate might be applicable. As might other rinses that contain benzydamine or hydrogen peroxide. An an anti-inflammatory, chlorhexidene can reduce the swelling and associated pain. These products should typically be used for a short period of time. Where you are looking for mouthwash or a rinse to soothe pain it is best to consult a dentist first. More likely to be something you are recommended or advised to get by your dentist, a fluoride rinse protects your teeth from acids and bacteria by coating them and integrating with the enamel to in the long term fight against cavities. It essentially remineralises the teeth to support the development of enamel. This is to be used in conjunction with, but not as an alternative to your regular brushing routine. Chlorhexidine rinses help to control and kill the bacteria in your mouth that cause gum disease. Quite often this is prescribed, due to the strength and risks attached to using. 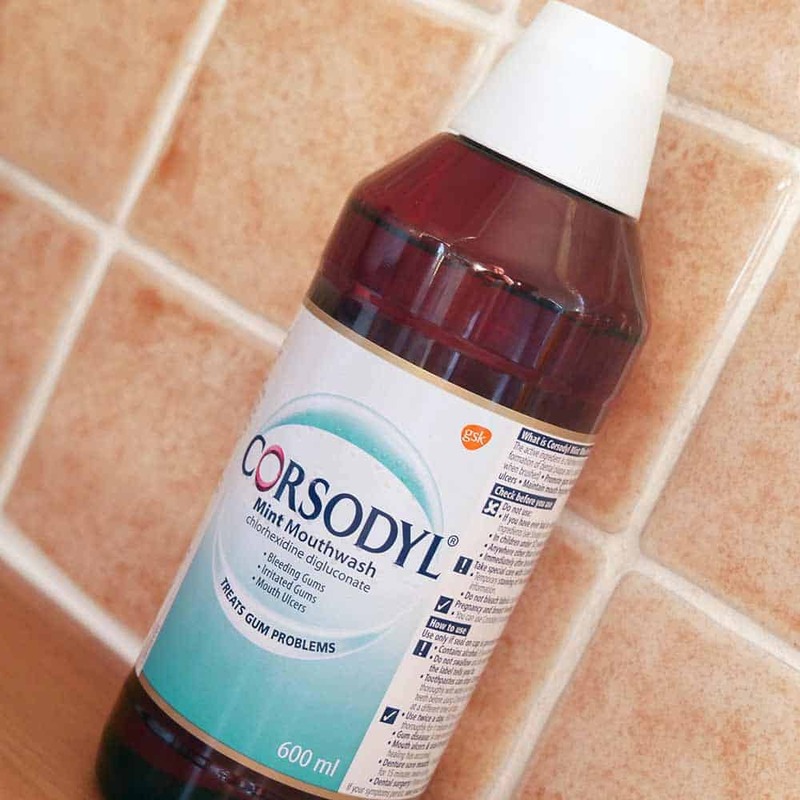 However, one popular product that does include this is Corsodyl as well as some other minor brands. Chlorhexidine gluconate rinses are very effective, with 0.12% chlorhexidine gluconate, and 11.6% alcohol, in addition to the other antibacterial properties. An alcohol-free formula does exist. This rinse is most helpful and most likely to be prescribed after a deep cleaning procedure such as tooth scaling and root planing. The downside to this formula is that teeth can be left with brown stains as chlorhexidine is known to bind to both hard and soft tissues. The prescribed rinse is likely to be for a short period of time, whilst recovering from treatment. It is advised to avoid consuming too much coffee, tea, red wine, or particular foods that are likely to stain. 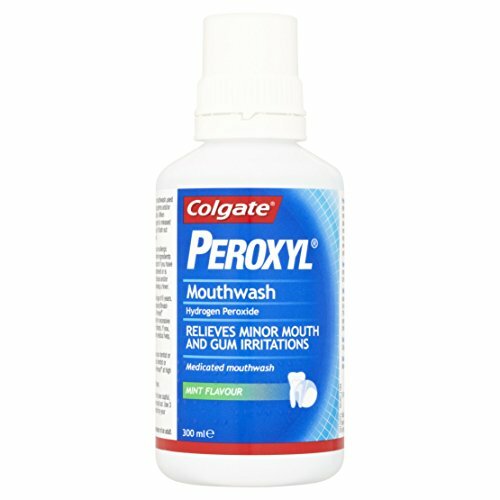 Chlorhexidine mouthwashes may not be the best choice if you have tooth crowns or caps made of composite or glass ionomer. Mouthwashes that are advertised as having teeth whitening effects often contain hydroxide peroxide and sodium fluoride to strengthen teeth. The peroxide acts as a bleaching agent that helps remove stains from the teeth to really clean them and make them whiter. It does not give the same brilliant finish you would get if you went for a professional whitening process. For this reason, we have created the post: Best Whitening Mouthwash: Does Such A Thing Exist? Using a whitening toothpaste together with a whitening mouthwash may help to reduce staining of the teeth, which may help them to appear lighter thanks to this lack of stain. However, results are not guaranteed and depend on various factors. 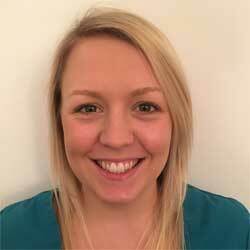 See our hub page on teeth whitening for more information. It is a brand you are likely familiar with and for good reason. The choices you have in terms of flavours and the price you have to pay for the amount of mouthwash you get is excellent. Named after Joseph Lister, the former president of the Royal Society and pioneer of antiseptic surgical methods, it has a respected heritage. The cool mint flavoured mouthwash comes in a variety of bottle sizes. It looks to address plaque build up, kill off certain bacteria and give you fresh breath for up to to 12 hours. 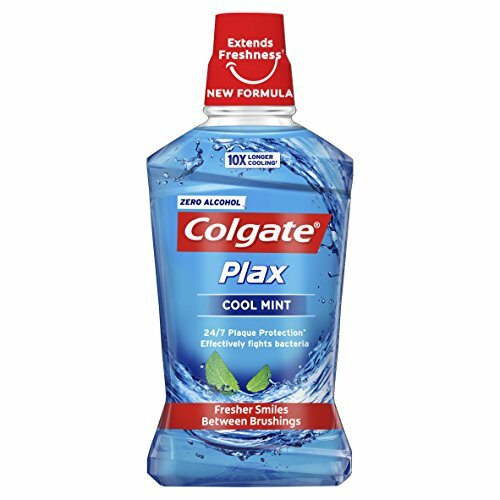 There are many alcohol free mouthwashes available, but what I like about Colgate is that it is from a reputable brand, is cost-effective and tastes good too. It contains Cetylpyridinium Chloride, a popular ingredient in alcohol free mouthwashes. 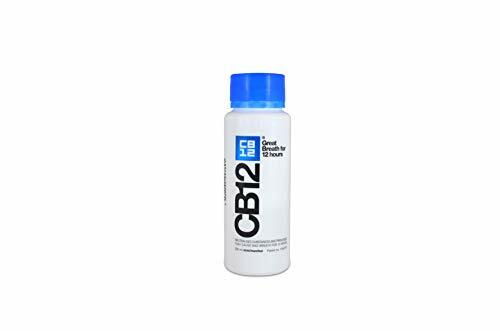 Just 20ml is all you need and it left my mouth fresh feeling for quite some time after use, without any alcohol burn. My own personal testing left me a little disappointed by the results of this mouthwash — I do not suffer from bad breath though. For those that do, they speak very highly of this. It is powerful and intense and certainly freshens the breath, I just didn’t get the extended feeling that was suggested. It is not all that cheap, but certified Kosher, Halal and gluten free it is suitable for many including vegetarians and vegans. With a money back guarantee, it has got to be worth a go. Sizeable dosages – too much?! It is one of the most well known, because it is so good at doing the job it is intended for, besides something prescribed there are few as highly regarded as this. It contains chlorhexidine which essentially fights the harmful bacteria and microscopic organisms in the mouth that cause pain, discomfort, inflammation and bleeding. 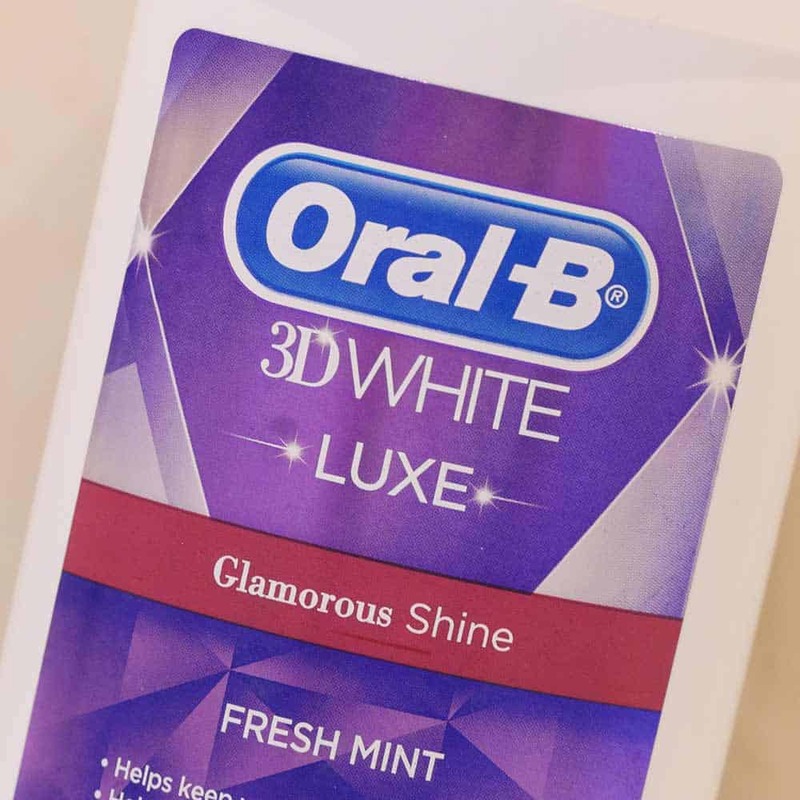 Very effective, it is not to be used regularly unless explicitly directed as it can stain the teeth and although an initial minty taste far from the most enjoyable to rinse around the mouth. 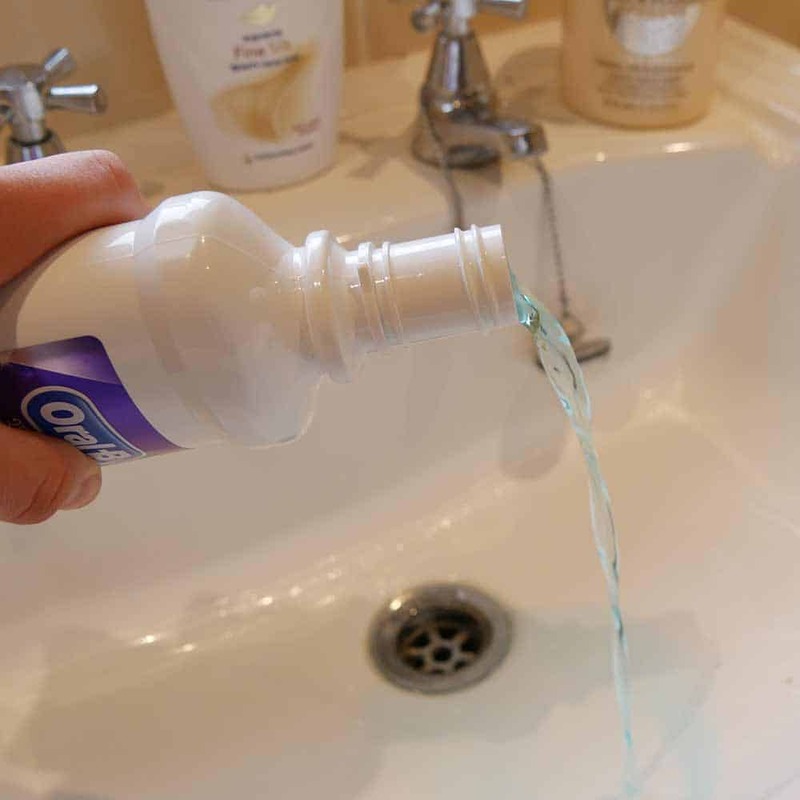 Chlorhxidine-containing mouthwashes should be used for a maximum of two weeks, with at least half an hour between using the mouthwash and brushing with toothpaste. 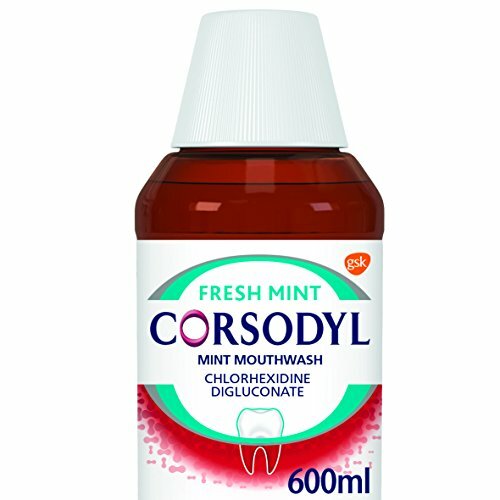 Aside from how expensive it is to continually use this product and the not so pleasant taste of the mouthwash, it comes as a real relief to those suffering from ‘dry mouth’ a condition often caused as a side effect of taking certain medication. Considerably more specialised, this alcohol free solution rehydrates the mouth and leave you feeling refreshed for longer, a real relief when suffering from dry mouth. include, CB12, Listerine Total Care, Colgate Peroxyl and UltraDex Daily Oral Rinse. Best is ultimately personal opinion and differs based on our own needs, wants, perceptions and experiences. You might well have been taught to rinse after you brush your teeth, be that with water or mouthwash. This is actually the wrong time to do that. Rinsing with mouthwash should really be done at times when you do not have a toothbrush to hand and you want the refreshed feeling. A common time people might make use of mouthwash is after lunch. Rinsing right after brushing will wash away the concentrated fluoride that the remaining toothpaste within your mouth contains. When you do use mouthwash, ensure you don’t eat or drink for 30 minutes after to get the maximum benefit. So you now have the mouthwash you intend to use, now how do you use it? Use the right amount – use the amount indicated on the label or as directed by your dentist. Many come with caps with markers or measures so you can ensure you use the correct amount. Swish and gargle – keep your mouth closed and swish the liquid around the mouth or as directed on the label. Some choose to gargle with it too. Spit – don’t swallow mouthwash, it can potentially be harmful. Wait – to get the most benefit from a fluoride mouthwash, avoid eating or drinking for at least 30 minutes so you don’t wash away the residual rinse. 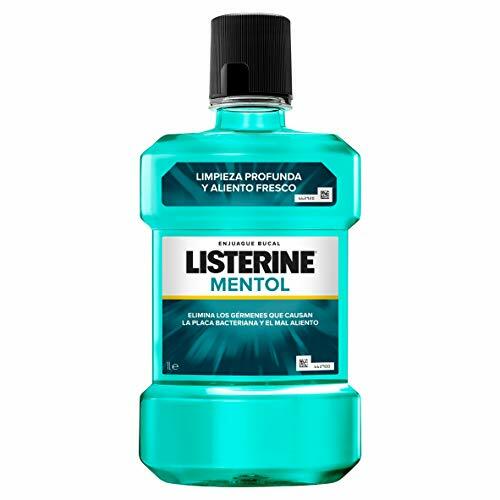 Most mouthwashes come out of the bottle ready to use. There are a few where it is recommended that you dilute them before use. But, there is normally nothing stopping you from diluting the mouthwash further if you like. Not only will the bottle go further but it will reduce the intensity of the rinse if you find it to be too much. 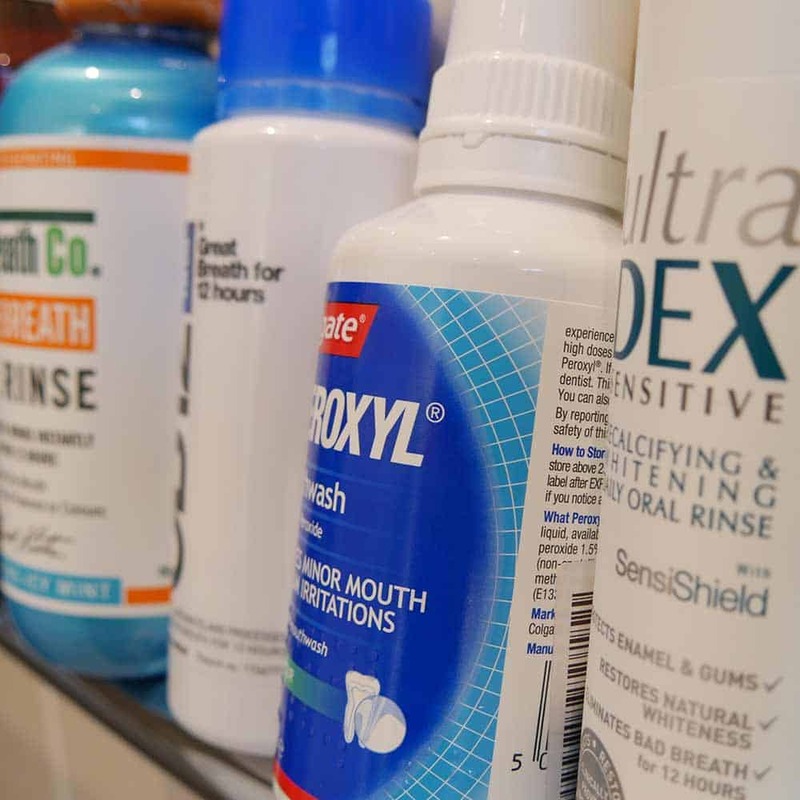 Do be aware that whilst it is fine to dilute, the effects on your breath and oral hygiene may not be as great compared to using the manufacturer-recommended dose. Use for the right amount of time. Mouthwash is designed to be held in the mouth for a relatively short period of time. 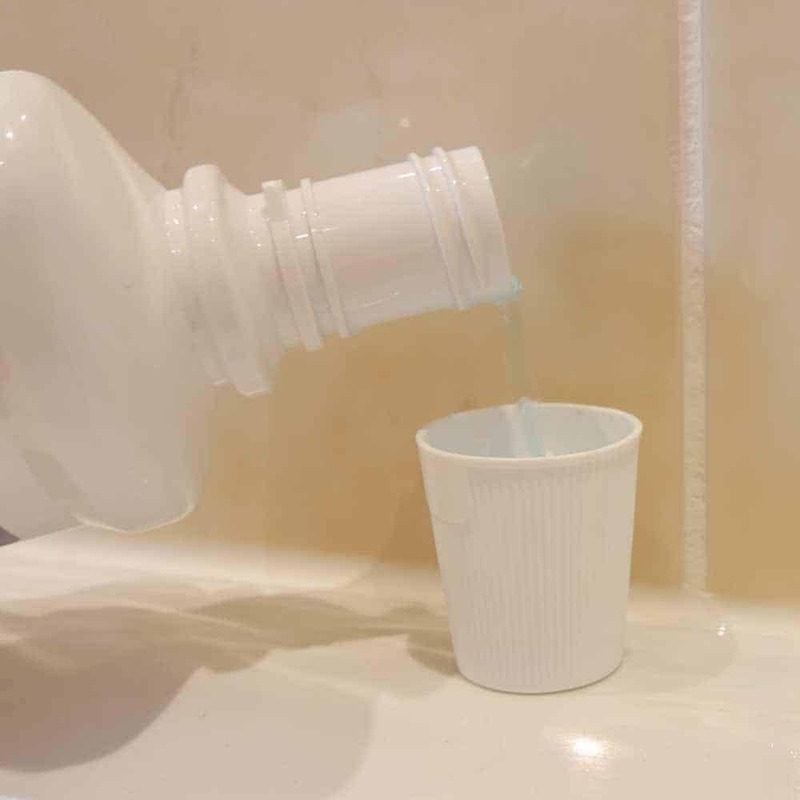 Consult the instructions and guidance for the mouthwash you use, but often 30-60 seconds is the recommended time you should use or leave mouthwash in the mouth for. Please note: Always resort to the instructions for your mouthwash for directions on how to use. The following are a guideline only based on the typical mouthwash routine. Ideally, you should spit mouthwash out and not swallow it. It is not designed to be swallowed. When using it you should pay attention and make sure you follow the instructions, which normally involves spitting out all the mouthwash within a minute or so of putting in the mouth. Children should be supervised. Mouthwash it not recommended for those under 6 and it is advisable to assist and monitor those between 6 and 12 until you as a parent or guardian are satisfied they are competent and know how to handle it. Many mouthwashes have a safety cap to help prevent unauthorised use by young ones. The first thing to do, should you swallow mouthwash is not to panic. A mouthful of mouthwash is unlikely to do any significant harm. The first thing to do is to check the label of your mouthwash to see what ingredients it contains. Common and often most likely to cause harm are fluoride or ethanol. How you react will depend on your body and sensitivity to certain ingredients. In the most extreme cases dizziness, drowsiness and trouble breathing are possible consequences as are convulsions and a coma. That sounds pretty bad, but for the most part you will not suffer any side effects from a single mouthful. Be wary, if you have any concerns and feel ill as a result, speak to a medical professional and in cases of mouthwash overdose or extreme reactions head to the emergency department, taking the mouthwash bottle with you if possible. As you can see from the information provided, mouthwash is perhaps not all it first seems. Some of the claims the manufacturers make might be a little over-hyped. Mouthwash certainly has its place though and can be very useful at certain times to help reduce the bad breath sensation, ease pain and inflammation in the mouth as well as protecting the tooth enamel. Hopefully the information and provided suggestions will allow you to find a solution suitable for you. Have you done any of the natural Green Tea formulas? I notice all the big well known brands are now using Green Tea. This isn’t something we’ve looked at yet but I’ve just had a quick look into it and it does sound interesting, so we will try to take a look soon.